This week, Your News to Know brings you the latest stories involving precious metals and the overall economy. 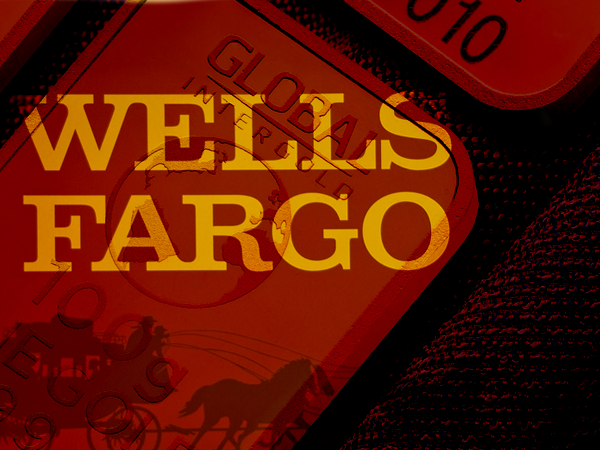 Stories include: Wells Fargo turns positive on gold, gold will be the best asset to own in a chaotic 2019, and global silver-market surplus increasing in 2018. Wells Fargo’s analysts have turned bullish on gold amid an improvement in the metal’s prospects. According to CNBC, the bank’s investment branch predicts gold will recapture its 2018 losses due to a dearth of safe-haven investment opportunities. John LaForge, Wells Fargo’s head of real asset strategy, told CNBC that the picture in stocks has been the biggest cause for a change in opinion. LaForge pointed out that equity investors are now dealing with a reality that includes corrections ranging between 10%-15%. This has already bolstered gold’s appeal as a safety trade, said LaForge, adding that investors have bought up the metal even during stock bounces. The need for insurance will become even more prominent due to the dollar’s overbought conditions, as the greenback is currently riding a 52-week high. LaForge said that the dollar’s backtrack will clear up new heights for the metal. In terms of predictions, LaForge sees the metal gaining 8% within the next 12 months to climb back above $1,300 an ounce by the end of 2019. After contending with a strong dollar for much of 2018, MarketWatch writes gold will be free to bounce back next year as risks take hold in the global market. Both the U.S. and the eurozone have acted as the source of major geopolitical concerns which should come to the front in 2019. For the European Union, this includes an inability to agree on a budget cap with Italy, one of its member states, as well as drawn-out talks over Britain’s exit from the alliance. Brussels has also had to deal with disappointing growth reports from Germany and the risk of Turkey’s economic crisis spilling over into the rest of the region. The U.S. faces the reality of a slipping stock market which threatens to pour over into global equities. Besides a possible trade war with China, the outlook for the Fed’s rate hikes has been another source of fear among investors. According to Chris Weston, head of research at Pepperstone Group, the Fed couldn’t have stuck to its hiking cycle without ignoring concerning economic reports. This will come to a halt, says Weston, as unemployment in the U.S. continues rising throughout the next year. The analyst predicts that the global market trend will move towards capital preservation by the second quarter of 2019, with gold emerging as a key asset in an environment of risk aversion. Weston sees yields and the dollar taking a step back as investors become pickier with their havens. The shift in sentiment will be accompanied by a massive covering of short positions in the futures market, giving the metal an additional venue for price gains. As per the latest report by GMFS, supply and demand dynamics in the silver market will change due to a consolidation of bullion demand. According to Kitco, the surplus in the silver market is expected to go from 2.4 million ounces in 2017 to 35.3 million ounces in 2018. Although the total silver supply is expected to rise by 0.3% in 2018, the move comes after two years of decline which culminated in a 1.5% drop in supply in 2017. The team also stated that scrap supply is forecast to go down by 1%. Industrial demand for silver continues to lead the way, as manufacturing needs account for 60% of the 998.4 million ounces mined in 2018. Among them, electronics demand shows the most promising growth with a 2.8% increase to 249.6 million ounces this year. Jewelry and silverware demand will remain virtually unchanged, said the report, with a forecast for 252.9 million ounces in 2018. Bar and coin demand will clock in at third place, amounting to 124.8 million ounces of silver during the 12-month period.